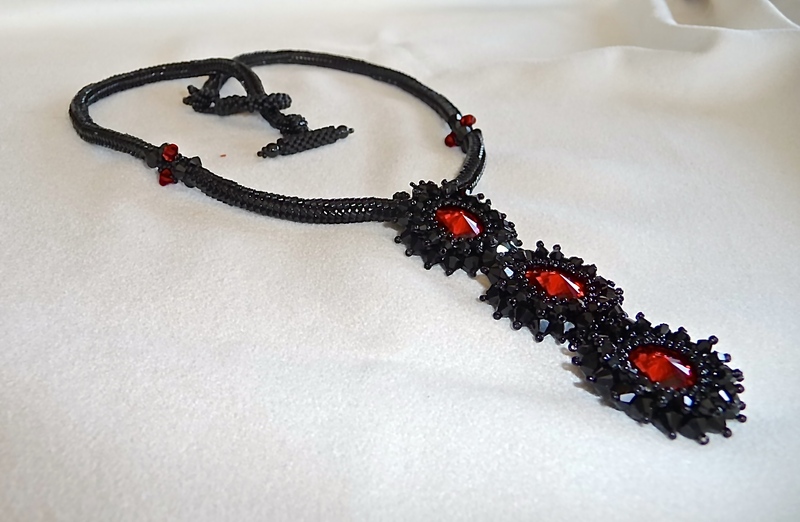 This necklace is made of black seed beads in three different finishes. The 14mm Siam Swarovski Crystals are surrounded by 3 and 4mm Jet black crystals. In the true value of bead work, I have made the clasp to compliment this piece.